Today, Alex Pardo discusses how he looks into the hobbies, interests, and likes so that he can relate and connect with the buyer on a personal level. By building a rapport with the buyer and bonding with them over topics they have a passion for, they are at times more likely to finalize the deal with you. 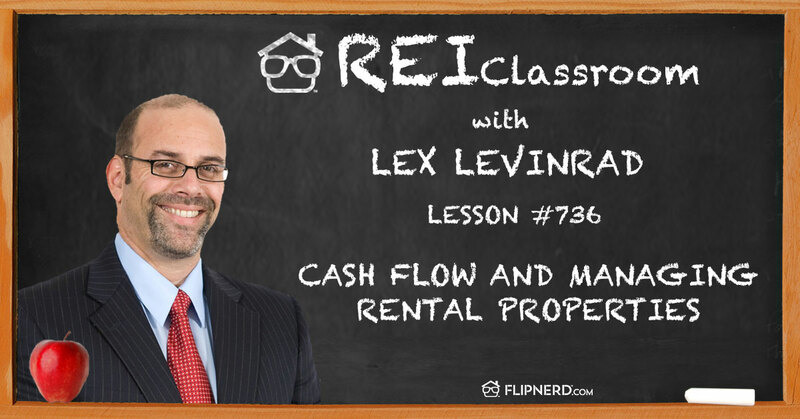 Alex: This is Alex Pardo and I’m back being your host today with the REI Classroom. And today I want to talk to you about how my sneaky Facebook stalker trick can help you close more deals and acquire more properties. Alex: Okay, so we all know that Facebook has kind of taken over the world alongside Google and everybody and their mom is on Facebook. Literally, my 73-year-old grandmother has a Facebook account, mind you she has no idea how to log in or out, but she has a Facebook profile. And the first thing that came to mind is our sellers, the people we are marketing to, are probably on Facebook. So one of the ways that I use Facebook is that whenever our team has an appointment and our acquisition’s manager is going to meet with a seller, as part of our standard operating procedure is that our acquisitions manager always goes on Facebook. They copy and paste the sellers email and they put it into the search bar at the top of Facebook and usually we find that seven out of ten times the seller is on Facebook. Now, if the seller has a common name or an email address that you don’t have their email for whatever reason and it’s a common name, sometimes you’re not able to find them. In most cases, I would imagine you’re going to have the sellers email and that’s all you need to go on Facebook and see if they have a profile. What’s interesting about this strategy is that I feel like I can learn more about a person by checking out their Facebook profile than having a five minute conversation with them. Now granted, a lot of times, I shouldn’t say a lot of times, but sometime people’s Facebook profiles are going to be set to private. If that’s the case, take this strategy on steroids, go on Google, see if you can find any other type of social media. They might have a Twitter account. They might have a LinkedIn profile. Most people are on some sort of social media. But what I’ve found is that most people’s Facebook profile, at least the sellers that we’ve worked with, have been set to public. So go on and take a look at their profiles, see what their likes are, what their interests are, what hobbies they might have. And what you want to do is you want to use this information to build credibility with them and establish rapport when you meet with them. So one of the things I’ve always trained my acquisitions manager to do is when you walk into a seller’s living room, look around, see if you see pictures. Do their kids play baseball? Do they like cats? Do they love animals? Try to find something that you can establish rapport with them and it’s almost like don’t even talk about the house or the deal for the first five, ten minutes. Just build a connection with them because at the end of the day people do business with people they know, like, and trust. You’ve probably heard that before and it holds true. And by going on Facebook, you can learn about what a person’s likes and hobbies are and it’s something that now you can use when you’re meeting with them. And I’ll give you an example. About a year ago I met with a seller, and this is prior to me having an acquisitions manager, I met with a seller. I found him on Facebook and literally 99% of their pictures were on Motocross, like dirt bike racing and things of that nature. I knew absolutely nothing about that. I went on Google, I went on Wikipedia, I learned a little bit about it. The first hour that I met with them, we had a conversation about Motocross. Needless to say, we got the deal and I seriously believe it’s because I was able to kind of build that bond with them and we had that connection and we spoke about Motocross. Now don’t use this information to lie. I didn’t say I was a Motocross expert, but I had some basic knowledge and I could hold a conversation with them about it. So again, this is kind of my sneaky Facebook stalker trick. Use it for good and I think that it’ll help you close more deals going forward.